When the students come into class we play a little game called the “Quiet Bee” and they practice being quiet. This exercise helps ground them and prepares them to learn. In Humanities with Ms. Rao, students begin by writing in their Communication Journals (CJs). Students use the CJ as a way of documenting everything that they need to know for all their classes. In addition, this is also the place where teachers include their notes to parents. After writing the lesson objective in their CJ, the students have a group lesson. It’s important to note that we differentiate learning with our students by putting them into groups with students of similar skill levels. This especially manifests itself in their guided reading groups. Students are split into groups based on reading level and the Learning Expert Teacher (LET) and Subject Expert Teacher (SET) work with these groups individually throughout the week to ensure the students are getting instruction at the level appropriate to them. Students will read a story and are then asked to discuss and analyze certain elements in the story—such as how they thought a character felt during a particular point in the narrative. I often give students questions that gradually increase in critical thinking complexity. This helps challenge them appropriately and builds essential reasoning, reading comprehension, and grammar skills. Ms. Rao says that the students recently completed units on ancient Egypt and the Pilgrims and Native Americans. 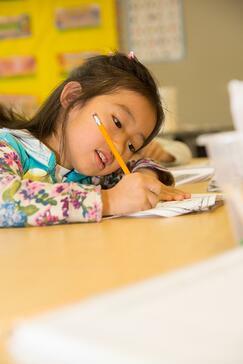 In writing, they’ve learned how to write narratives and step-by-step instructions. In the new year, students will be working on a writing/history unit on American heroes. 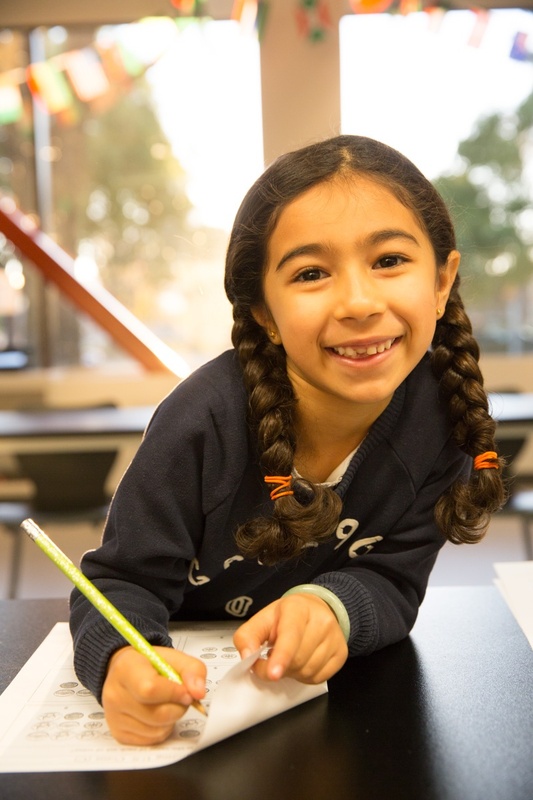 In addition, students are given biweekly skills packets, which help them improve their phonics, reading comprehension, writing, and map skills. After Humanities, the students have recess along with fourth grade students. Next is Math and Science with Ms. Small. We use Saxon Math and students in first grade are learning the foundational math skills that will set them up for success as they progress through the BASIS.ed math curriculum. Science is very hands-on and allows the students to be scientists—making hypotheses, testing out their ideas, and coming together to reflect on what they learned. Strategically placed late morning, students have Physical Education with Coach Andy. This is not just about calisthenics; students learn game-play strategy through cooperative team sports. On Wednesdays, they have Yoga with Ms. Burley, who is also their Drama teacher. In Yoga, Ms. Burley teaches students breathing, posture, and yoga poses designed to teach self-control, relaxation, and self-confidence. After P.E. students have lunch and recess. Next, students have READ class. The Learning Expert teacher leads this class. The LET has the freedom to approach the class according to the needs of the students. This allows us to differentiate our teaching to and ensure that each student is challenged in accordance with their skill level. In this class, students complete a culminating project that demonstrates their literacy skills. This incorporates a hands-on visual representation that allows a student to express their individual creativity while demonstrating their knowledge of a book they read. This project allows students to increase their reading comprehension and gain essential public speaking skills. In addition, every Monday, students can bring in any book and we read for 20 minutes. This free read time allows students to revel in the pure joy of reading. We also incorporate peer-to-peer mentoring with our Reading buddies program. This program pairs different grades together to share in the joy of reading and discovery just for the sake of reading. 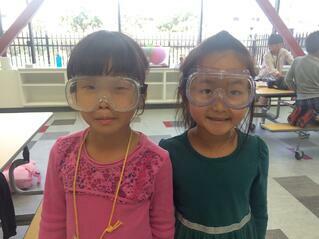 First grade electives include Music, Drama, Engineering, Art, Mandarin, and Connections class. Students enjoy a broad range of hands-on project-based activities that exercises their minds across disciplines. For example, in Art, Mr. Harter teaches the students about different artists and techniques. They have created some truly beautiful pieces this year. Art is also great class for students to learn that it is okay to make mistakes. Mr. Harter has spoken with the students at length about having growth mindsets and that art is about personal expression and having fun. Learning that mistakes are ok helps students learn to deal with failure and to see them as opportunities to grow and learn. Public speaking, project design, and learning how to deal with failure are lifeskills that help students be successful in all their classes. In Connections class we emphasize social-emotional learning projects. We often use a “talking stick” to practice teaching students the skill of active listening. We also explore ways in which students can learn how to empathize with each other even if they disagree. For example, we randomly assigned partners to students and they have to write three things they like about each other. Students get to practice their active listening and interviewing skills while learning how to empathize. They then must share with the class what they learned along with the three things they like about their peer. Next students have recess and finish the day in Mandarin with Ms. Yu. Many of our students are learning Mandarin for the first time, so the focus for them in on building conversational skills (though they are learning to read and write, too!). For our heritage speakers, Ms. Yue takes a slightly different approach and gives them material that challenges them. I hope that my students leave first grade well-prepared. I hope that they learn how to be a good friend and to be nice and that learning is about the effort, not the grade. If we want our students to be successful lifelong learners, we also have to teach them not to be upset by failure, rather, to use it as a learning opportunity and to try something different.